The dog-days of summer mean vacations, backyard BBQs and hitting the beach to escape cool down. Whatever you’re doing, you’ll find a glass of these refreshing Rosé wines are both refreshing and delightfully surprising. – Back 10 Cellars “Rose Coloured Glasses” – this is not a whimpy Rosé! Your Bouquet of Rosés is EXTRA special, as none of the wines are available at the LCBO. If you would like to order additional bottles or other hard-to-find Ontario wines (we do craft beers, too! 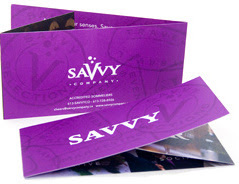 ), contact me at 613-SAVVYCO (613-728-8926) or debbie@savvycompany.ca. I’ll be happy to arrange a special delivery for you. Did you know? This wine won a Bronze Medal at the 2015 National Wine Awards. Well deserved! Savvy Sommelier Tasting Notes: Spicy and savoury, sweet and sour – the descriptors just kept coming as we tasted this. With a peach colour, just tinged with orange, it offers ripe honeydew and rose blossom notes. There’s honey, too, which pairs perfectly with its high acidity. The finish is quite complex, with honey and melon and tangerine. Suggested Food Pairings: When our Savvy Team got together to sample the wines, Savvy Sommelier Debbie knew just what she wanted with this wine – Prosciutto Wrapped Cantaloupe (very simple recipe follows). Did you know? The wine’s fun name was inspired by one of the winery owners’ daughters, who always wears her sunglasses with rose-coloured lenses, “because it makes the world a prettier place”. 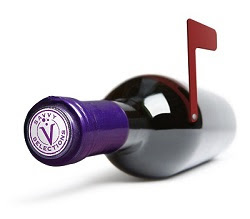 Savvy Sommelier Tasting Notes: Blended from Pinot Noir and Gamay, this wine offers the best of both. It has a spectacular pomegranate juice colour and aromas of sour cherry, smoke, watermelon, and mint. The flavours surprise, with candied red fruit, slate and tobacco. Barely off-dry, with medium acidity, it finishes with red cherry notes that won’t quit. such as Buffalo chicken wings or ribs slathered in BBQ sauce; this wine will handle it. Did you know? Gamay is best known as the grape of Beaujolais Nouveau, but it has a growing reputation as a true Ontario star! Thriving in our cool climate, Niagara Gamay balances bright, fruity cherry and raspberry notes with lively acidity. Savvy Sommelier Tasting Notes: There’s an explosion of red currants when you sip this, tempered with great minerality, orange blossom, and pomegranate. At 13 per cent alcohol by volume, it’s medium-bodied and has a hint of sweetness. It’s a big, complex rosé that’s ready for the dinner table. Suggested Food Pairing: This will stand up to spicy food, such as Mexican food. Did you know? Palatine Hills is located on land that was once a battleground during the War of 1812. An historic artifacts display in their tasting room shows some of the relics found in the vineyards, including officers’ buttons, clay pipes and musket balls! Savvy Sommelier Tasting Notes: Not labeled as a Rosé, but winemaker Jeff Innes has let the skins of the lightly-purple Pinot Gris grapes bleed into the grape juice giving it a lovely copper colour. This shines with typical Niagara minerality, strawberry and gorgeous pink grapefruit flavours. It reminded us, too, of Juicy Fruit gum. This wine is just off-dry, with a pithy and white pepper finish. This Pinot Gris is so new that at the time of writing it isn’t even on Palatine Hills’ website yet. You are the first to enjoy it. A true Savvy discovery! Suggested Food Pairing: This accommodating wine easily accompanies summer dishes ranging from grilled peaches to BBQed Pizza (recipe below). Did you know? Sparkling wines made by the “Charmat Method” become bubbly through secondary fermentation in a large tank, in contrast to “Champagne Method” where it takes place in the bottle. Either way, bottles are initially capped with beer bottle-like “crown caps”, and more and more winemakers are choosing to leave these easily removed caps in place. Savvy Sommelier Tasting Notes: Oh, boy, do we love this wine! Blended from Riesling and Chardonnay, it has just enough Zweigelt (one of owner/winemaker Dan Sullivan’s signature grapes) added to give it a lovely gold hued peach colour. The bubbles are light and fun, and this is gently sweet with some bracing lemon acidity for balance. And the flavours! Rhubarb, peach, strawberry, and lots of lemon on the finish. Suggested Food Pairing: We’d love to share this with friends in the backyard over a bowl of Chilled Cucumber Soup – check out our recipe below. Savvy Sommelier Tasting Notes: Beautiful pale pink colour. Wild strawberry and an interesting clover flower notes on the nose give only an illusion of sweetness to come. There are hints of cherry vanilla, tangerine, and orange blossom, and a spice one taster thought was cinnamon. The palate starts slightly sweet vanilla-cherry, with a slight roundness before going to rhubarb and cranberry for a crisp finish. The 6% Gamay adds some nice structure to the 94% Pinot, and the neutral barrel ferment gives that roundness noticed. Suggested Food Pairings: A very versatile wine that will work with many dishes including summer salads (grilled lettuce), light appetizers, and grilled salmon. Roughly chop 1 1/2 cucumbers; dice remaining cucumber half. blend until smooth, 1 minute. Season with salt and pepper. Divide soup among four bowls and stir in diced cucumber. Scoop out into bowls and top with cucumber rounds, a drizzle of oil, and more pepper, if desired. Following these directions you can make this summer pizza as simple (frozen crust, bottled sauce) or complicated (everything from scratch) as you want. Make the pizza dough or use prepared pizza dough. Prepare the grill for high direct heat. Prepare a small bowl with olive oil for greasing the grill grates and for brushing the pizza. Prepare the toppings so they are ready to go on the pizza—tomato sauce, cheese, and anything else you wish. Shape the pizza dough by flattening it with your hands on a lightly floured surface. Either use your fingers to stretch the dough out, or hold up the edges of the dough with your fingers, letting the dough hang and stretch, while working around the edges of the dough. Once the grill is hot (you can hold your hands an inch over the grates for no more than 2 seconds), dip a tightly folded up paper towel in olive oil and use tongs to wipe the grill grates. Then place a pizza dough round on a lightly floured (or you can use cornmeal) rimless cookie sheet (or pizza peel if you have one). Let the dough slide off the cookie sheet onto the hot grill grates. Close the lid of the grill and let cook for 2 minutes. Paint the grilled surface of the pizza with a little olive oil, then cover with 1 ladle of sauce – no more, or you’ll end up with a soggy pizza. Sprinkle on your toppings, ending with Mozarella cheese (if using), and if using meat, put that over the cheese. Remember to go light on the toppings, or your pizza will be heavy and soggy. Melt the butter in a large saucepan over medium high heat. Add the onion and sauté for a few minutes until fragrant and golden. Add all the spices (curry paste, garam masala, curry powder, turmeric, cayenne, sugar, garlic, ginger) and stir fry for 1-2 minutes. Add the tomato sauce; stir and simmer until smooth. Add the lentils and the cream. Stir to combine and simmer for another 15-20 minutes (the longer, the better)! Peel and seed the cantaloupe. Cut it into cubes or wedges. Serve and enjoy the rave reviews! Always have refreshing Rosé wines on hand this summer. To order additional bottles of your new-found favourite Rosés from this assortment OR to receive a Bouquet of Rosés next month call the Savvy Team at 613-SAVVYCO (728-8926) or order online at www.savvycompany.ca/rose. The August Bouquet of Rosés will have a completely different selection of hard-to-find wines. This weekend at the LCBO features “Great Values for Summer” on the store shelves at Vintages and a real cool event that takes place in Niagara called “i4C” – the International Cool Climate Chardonnay Celebration. Years ago my husband and I attended this festival, set on the hills of lovely Tawse Winery in along the Beamsville Bench (aka Niagara Escarpment). Winemakers & Sommeliers from around the world transcended to Niagara to sip & savour Chardonnay all weekend. Events of all kinds shone the spotlight on this featured grape. At one event, Canadian singer songwriter Murray McLaughlin played live as the icing on the cake to make this annual event memorable for me. Join me to fill your shopping cart with bottles of Chardonnay to celebrate i4C along with “Great Values for Summer” that await your discovery at Vintages. Heres to the dog days of summer…I wish they could last forever. Straight from the Okanagan Valley, this dry, smooth Chardonnay has no shortage of tropical fruit plus the green apple taste offers perfect acidity. Medium-bodied and fresh there’s a bit of toasty oak and vanilla. It is an elegant Chardonnay with luscious brioche and a hint of coconut at the end. Grilled salmon with new potatoes, buttery and parsley. Very pale in colour but not in taste, this Sauvignon Blanc is very clean and refreshing. Talk about a palate cleanser. There’s lots of citrus, especially white grapefruit flavours with a pithy aftertaste that sends you back for more…and more…and more! Light-bodied that makes it perfect for a picnic. At this price, it is a great value wine to have in your fridge until Labour Day, or heck, buy more and keep on drinking it until Christmas! Torrentes is such an interesting grape varietal. When I serve a Torrentes everyone always asks what kind of wine is this since it is so different from our usual varietals like Chardonnay or Sauvignon Blanc. It is produced only in Argentina and has an incomparable flavor. The Torrentes grape originated in Mendoza apparently under the leadership of Jesuits. Pale golden in colour with floral, geranium aromas, lots of orange and passion fruit on the palate with a touch of oregano or white pepper at the end. It’s interesting, fresh and another fantastic value. Although Circle of Life reminds me of a Disney movie, the winery has certainly taken it’s title seriously embracing a sense of origin with the bio-dynamic vineyards. I found this wine unusual in taste. I’m not sure whether it was the forest, almost tree-like aromas or that there was so much going on with its Sauvignon Blanc and Chenin Blanc (also known as Steen in South Africa) blend. Some tropical fruit, yellow apple and lime mingles with a pinch of honey on the aftertaste making this medium bodied blend very smooth and satisfying. I liked it immediately and can’t wait to pick up a bottle to enjoy with seafood. In February my husband and I traveled to Buenos Aires and ever since there’s always lots of Malbec in our wine cupboard. It’s dark, inky purple almost opaque in colour (it’s going to look fabulous in my big bowl wine glasses!) and exhibits layers of spice, tobacco, blackberry and a little cassis. It packs serious punch. It’s smooth, lingering with persistent length and depth. It’s another fabulous value wine. Bring on anything grilled. I learned in the LCBO release report that the Latin word, “Primitivo” translates to first to ripen. Just when I thought Primitivo grape made great medium to big red wines that are perfect ‘spaghetti wine’ (you know…perfect with a bowl of spaghetti!) Vibrant dark plums, ripe red berry and violet aromas, lead you to a delicious, medium-bodied palate of ripe black cherries, fleshy raspberry, some ground pepper and noticeable tannins. The fruit is ripe and remains start to finish. Grand Total: $99.75 – how is that for being on budget! Do you want to learn more about wine, artisan cheese & craft beer this year? Resolutions like this make our team of Savvy Sommeliers smile – BIG time. Like all resolutions, the hardest part (if there is a hard part!) is starting. Don’t despair because we have made it easy to keep your 2014 resolutions and to begin as soon as this month! Book your spot at either the wine or the artisan cheese class . . . or come to BOTH! These ‘classes’ will take place in Ottawa’s coolest wine venue: MUST Kitchen & Wine Bar in the Byward Market. No need to bring a lunch – the chef will be whipping up a gourmet meal. These are fun ‘classes’ & you will definitely WANTto do the homework! Back by popular demand! Join me for my annual Wine Appreciation 101 ‘Class’ on Saturday January 18. It is a fun-filled day enjoying wines from around the world that you may have never tried, learning wine lingo, tasting the difference glassware makes & deciphering a restaurant wine list. And because I absolutely LOVE wine, I will share all kinds of tips & tricks . . . even show you how easy it is to sabre (yes, with a sword) a bottle of bubbly! Everyone, regardless of your wine knowledge . . . is sure to have fun learning more about the world of wine & have a shopping list of new favorite wines. Psst . 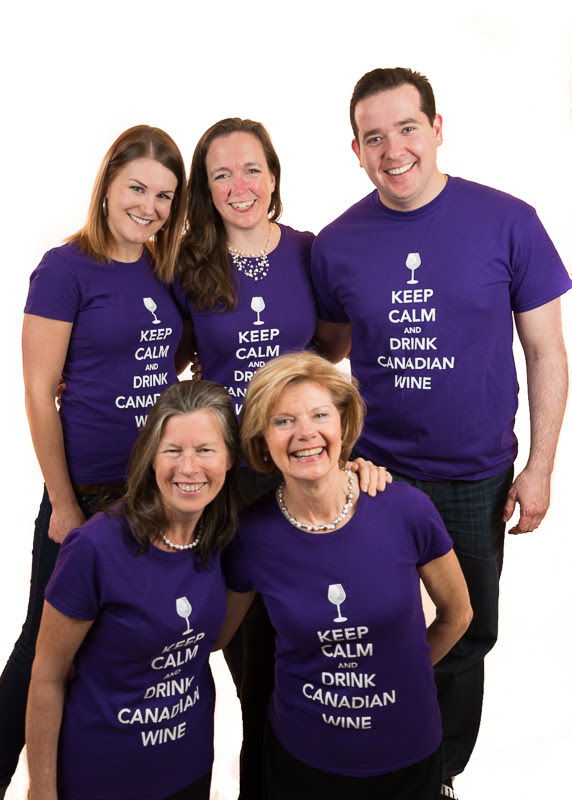 . . Did you see my 5 minute wine ‘class’ on CTV Ottawa Morning last week? Watch it on online or Savvy Company’s Facebook page. NEW! On Saturday January 25th, come in from the cold & learn about fabulous fromages with our Cheese Sommelier Vanessa Simmons. She will introduce you to cheeses from around the world, share stories about cheesemakers while you learn the ‘whey’ to buy cheese, make a delicious cheese board & talk the talk like a ‘BIG Cheese’! And there’ll be a pop quiz . 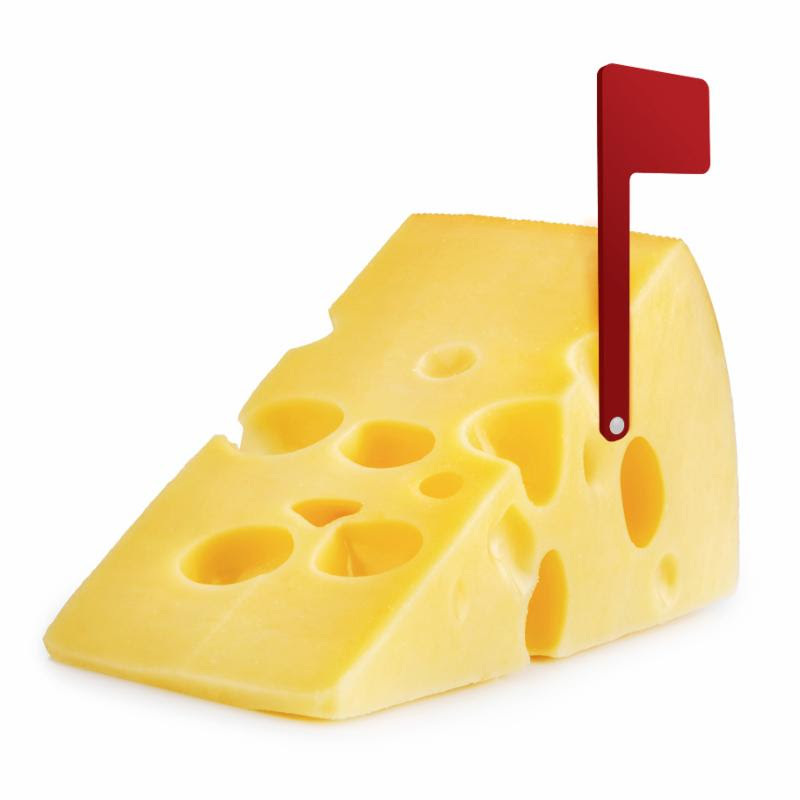 . . is artisan cheese better with wine or craft beer? Think you know the answer? Your tastebuds may be in for a surprise! Set your PVR or tune in to CTV Ottawa Morning this Thursday January 16th at 8:45am. Vanessa will be sharing tips on how to create a delicious cheese board. Want to learn about wine AND cheese? 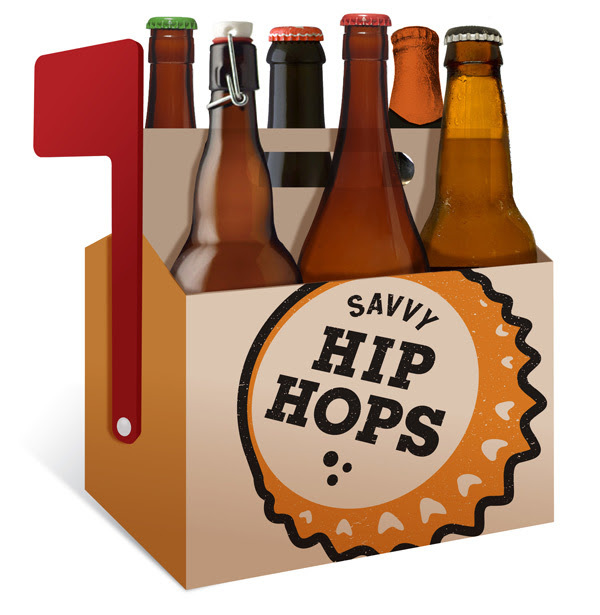 Looking for a craft beer ‘class’? Try something different with this refreshing Viognier (pronounced Vee-on-yeah!) for$19.95 (regular $25.95)- a glass of this will knock your socks off! AND save even more when you order a case (12 bottles) of these wines – shipping is FREE. Relax. . . our Savvy Sommeliers have selected 6 bottles of outstanding wines from Niagara’s Fielding Estates Winery that will WOW your guests. This Special Dinner Party Pack includes a bottle of sparkling wine to start the evening, then 2 whites & 3 red wines to enjoy with dinner. . . and we’ll give you easy-to-make recipes too! Now, all you have to do is invite your guests & set the table. Mark my words, 2014 will be an absolutely DELICIOUS year! Savvy Company is Award Winning! We are excited to announce that we have won Small Business of the Year in this year’s Kanata Chamber of Commerce People’s Choice Business Awards. Many thanks to all of you who voted for Savvy Company and recognize our talented team of Sommeliers. We raise a glass of wine to celebrate all that we have accomplished in the past 5+ years and the wonderful people who we have met in the world of wine. When people select, drink and enjoy wines these days, the concept of ‘style’ plays a big role in the character, profile and experience of wine. It is a way of familiarizing the unknown. There are many ways of referencing style with wine as there is referencing style with people. One can talk about style with winemaking or growing or marketing or bottling or flavour… just like you can with art or clothing or behaviour. Often, the concept of ‘New’ and ‘Old’ World styles run through discussions and pleasures that are a part of the wine experience too. There is no well-defined identity for one or the other, particularly now that vines and winemakers and techniques move from traditional Old World regions to New World regions and back again. There is still value in referencing these styles because it helps to uncover the identities and assets of wines we might not be familiar with. In a way it is like discovering a tasting profile for wines. Here are some ideas that might clarify ‘Old’ from ‘New’ and “open up” some wines for you. Old World: These wines are usually wines that have a long, documented history and are primarily found in Europe and around the Mediterranean. Here the traditions of winemaking are very important to the production of wine. “Terroir” (the impact of soil, weather, nutrients, sunlight, agricultural method, etc.) also plays a large role in the way wine is made. Austria, Bulgaria, France, Georgia, Germany, Greece, Hungary, Italy, Portugal, Romania, Spain, Switzerland are wine regions with a long history of growing grapes for wine that would qualify as “Old World”. New World: These wines are grown outside of the traditional wine regions of Europe. Each of these countries has its own history with wine that often is about the importation of vines in many cases ( often by the Church for various rituals). The growers brought their grape growing and winemaking traditions with them, but had to modify some of their procedures (like irrigation) to accommodate the conditions and resources of their new sites. Argentina, Australia, Canada, Chile, New Zealand, South Africa, Mexico and the United States are the more notale examples. Style: Knowing this information is helpful. Old World wines because of their reliance on tradition and terroir will display more of the characteristics of the soils and climates they are in like the foods grown right along side them. Much Old World wine, to oversimplify, is intended as a food partner, a wine whose crop yields, alcohol levels, acid levels, aging processes and geographical boundaries are highly regulated. Filtering of many of these wines is done with natural products like clay or egg whites so sediment levels tend to be higher and the wines tend to absorb rather than reflect light. These wines often show a minerality, an earthiness and a flavour profile that leans towards barrel flavours like vanilla and smoke or wood and they show tannic characteristics more readily. Intended to be food partners, Old World often improves its impact with local fare as an accompaniment. New World, on the other hand, is more winemaker driven. It is intended to be more a “cocktail” experience. It is designed for the consumer with its fruit forward, high sugar and alcohol profile. These wines are grown to be drunk now. Longer growing seasons, less regulations, controlled irrigation and fertilization render bountiful crops and copious supplies of wine that is brilliantly reflective because of the .005 gauge screening it goes through when it is filtered. Drinking wine on its own suits the New World very well. That is not to say that these are hard and fast rules for “Old” and “New”. Many is the Old World vintage that is tasty and sweet all by itself. Many is the New World vintage that marries very well with food. A lot of Old World wineries have New World winemakers and vice versa, but these characteristics are helpful in recognizing New and Old World ‘Styles’ of wine which may help you share your wine experiences with someone else or choose the right wine for someone you know. Do you have more ideas about styles of wine, New or Old World? Email me as I would like to hear from you.